Argentinians call it Las Pascuas. As in Spain and most South American countries, Easter celebration in Argentina is held as a combination of two separate big observances: Semana Santa and Pascua. The former means the whole of the Holy Week (Palm Sunday or Domingo de Ramos, to Easter Saturday). And the Pascua is the observance for the period from the Resurrection Sunday to the following Saturday and in many communities the full Passion Play is represented or performed. For most people, this two-week period is the time for a great vacation and they enjoy this time with the community of their choice. This country has people from different parts of the world, so Easter is celebrated in a variety of ways. The main day of celebration of families of Anglo-Irish backgrounds is Easter Sunday. Some people go to church services and have hot cross buns for breakfast. These are a sweet fruit bun, which may have a cross on top. Children exchange Easter eggs, which are usually made of chocolate. Some are now made from sugar and have little toys inside. The chocolate eggs are available in an egg shape, from tiny little ones to giant ones. Some chocolate eggs are also in the shape of cheeky looking rabbits. In recent years Easter bilbies have also been made. The bilby is a native animal in Australia. It is an endangered species. Chocolate manufacturers decided to make Easter bilbies and give some of their profits to help protect these animals from extinction. Children don’t worry about the shape. They just love the chocolate! Easter is celebrated by exchange of Easter Eggs. Gift range may vary from anything between money, clothes, chocolate or go on holidays together. Some people make Easter bonnets or baskets, which have things like daffodils in them or mini eggs. Children sometimes go to a local community center to enter an Easter bonnet competition to see whose bonnet is the best and the winner gets an Easter egg. The Easter bunny is very much a part of the Easter tradition in England. The shops are filled with thousands which people buy to give to each other. The French call it Paques. The main celebration sets off on Good Friday with a solemn note. Church bells do not ring for three days starting from Good Friday till the Easter Sunday. Early on Easter morning the children rush into the garden to watch the bells "Fly back from Rome". As the small folk scan the sky for a glimpse of the returning bells their elders hide chocolate eggs. In medieval times there was a superstition which stated that “the church bells which had not been heard since Holy Thursday had been to Rome for the Pope's blessings and returned on Easter Eve with colored eggs for everyone”. Italians call it La Pasqua. The Easter is celebrated with a real big feast in this Mediterranean country. The Paschal feast is celebrated with Agnellino, Italy's special popular dish for the Easter. This is a roasted baby lamb. Children enjoy a rich bread made specially for the Easter. It is shaped like a crown and studded with colored Easter egg candies. The Swedish call it Paskdagen. Throughout the country the egg, symbol of life and resurrection, is featured in all Easter food and Easter games. Every household has egg coloring parties. Egg rolling contests are the favorite Easter activity of younger boys and girls. Palm Sunday is observed with palm fronds. The Easter Eve is celebrated with bonfires. Shooting of fireworks lives on as the tradition. The Dutch call it Pasen or Pasen Zontag. 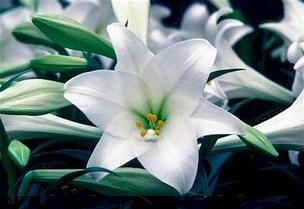 Throughout the country Easter is celebrated as a great spring holiday. People lay tables for Easter dinner with charming decoration of colored eggs and early flowers. Sweet bread stuffed with raisins and currant is one of the favorite dishes of the Easter feast.